The closest accommodation to the world-renowned Coed y Brenin Mountain Bike Centre. Stay here and forget about the car for a week. is home to an ever-increasing network of fantastic handbuilt all-weather singletrack including the ‘Falseteeth’ which incorporates the biggest feature in the forest, ‘The Cavity’. Drop in and get spat out over the exit with as much style as you can muster! The technical roller coaster riding will have you grinning like a fool, with stunning mountain views of surrounding Snowdonia that’ll take your breath away. The MinorTaur is a blue graded development which complements the established red and black rides. 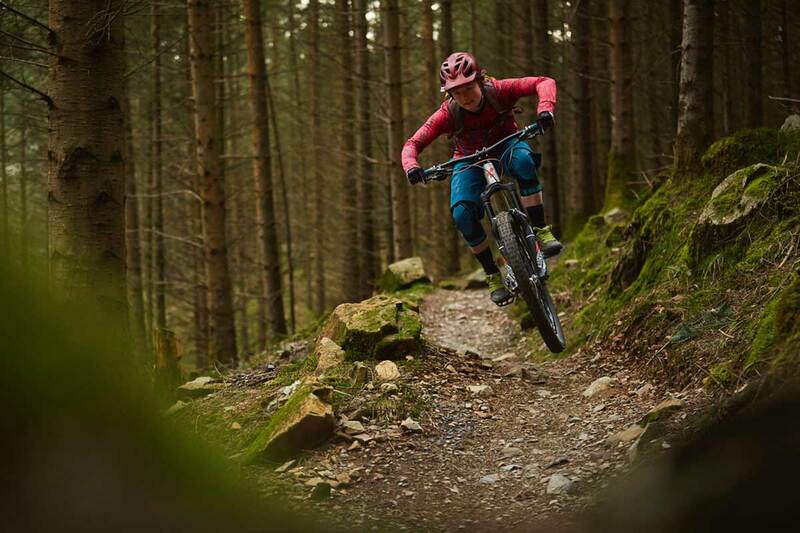 Its specially adapted features make Coed-y-Brenin Forest Park the first truly inclusive mountain bike destination in the United Kingdom. Located in Coed Llandegla Forest, has become well known as the place to come for your mountain biking adrenaline fix in the UK. Located just 20 minutes from Chester, Oneplanet Adventure is the most accessible purpose built mountain bike centre in North Wales and no matter what your experience level, it’s sure to have you grinning from ear to ear. Is an uplift assisted Mtb Centre located at Blaenau Ffestiniog in the heart of beautiful Snowdonia North Wales. We offer the best uplift service in the UK to access the mtb trails, along with a fantastic Café serving locally sourced food, Downhill bike hire, Skills Coaching, and a huge Welsh Welcome to all. Antur Stiniog have 7 trails that range from blue grade to black grade and have had international acclaim from Mtb press and riders alike. All trails are accessed by our uplift service (we are an uplift facility only) which is regarded as the best uplift service in the UK.